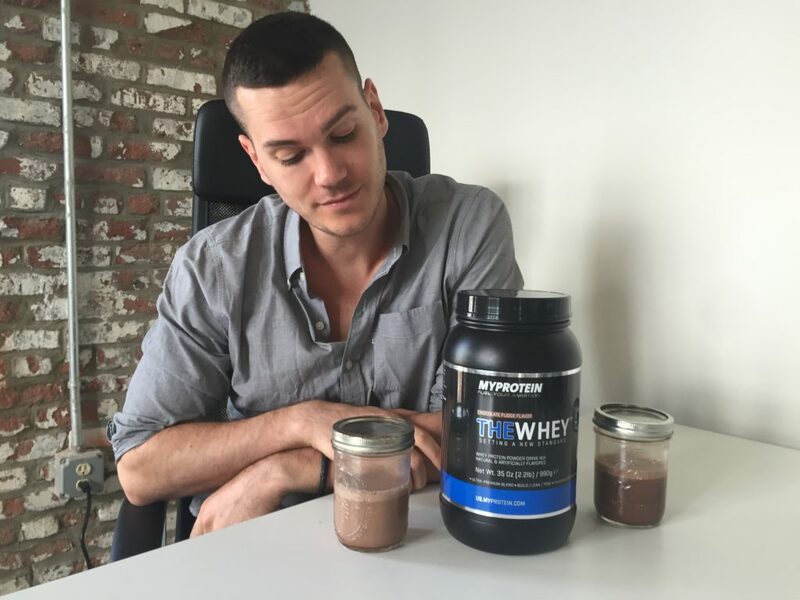 Home » MyProtein TheWhey Review — Is It Their Best? 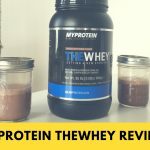 MyProtein TheWhey Review — Is It Their Best? MyProtein is a very popular protein brand on reddit owing to its low price and the high marks it gets from third party testing sites like Labdoor. 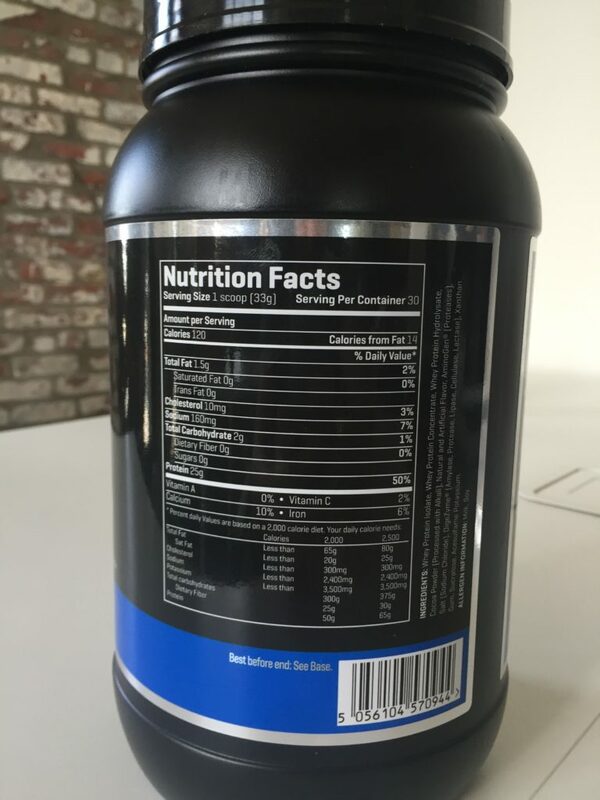 When most people talk about MyProtein, they’re talking about their signature line Impact Whey, which is a whey concentrate — the cheapest form of whey. I tried their “premium” product called TheWhey. This is indeed a high quality protein: it’s a blend of three kinds of whey, it’s got a lot of protein per calorie, and it a bunch of enzymes that may make it digest more effectively than its competitors. One scoop provides 120 calories, 25 grams of protein, 2 grams of carbs (with no fiber or sugar), and 1.5 grams of fat. There’s 160mg of sodium (7 percent of your daily intake) and 3 percent of your daily cholesterol, both pretty agreeable numbers. In addition, there’s 10 percent of your recommended daily intake of calcium and 6 percent of your iron. A blend of three kinds of whey with a ton of digestive enzymes that may help it digest more effectively than some competitors. This is a protein blend, and the first three ingredients are whey isolate, whey concentrate, and hydrolyzed whey in that order. This is why, unlike an isolate, there’s 1.5 grams of fat in a scoop. After that there’s cocoa powder, natural and artificial flavor, some salt, and six different digestive enzyems: aminogen, amylase, protease, lipase, cellulase, and lactase. I’ve never seen a protein powder with more than two kinds of enzymes, and this is probably in response to the fact that MyProtein’s more popular Impact Whey is a concentrate, which tends to be most likely to produce digestive issues. Then there’s xanthan gum (a thickener and stabilizer) and the artificial sweeteners sucralose (or Splenda) and acesulfame potassium. It’s unclear as to whether or not there’s soy or lactose. There’s no soy lecithin in the ingredients list, but the label warns that the product contains soy from somewhere. There’s no sugar in the nutrition panel, but it’s not labeled lactose-free and it contains concentrate and lactase, which indicates there would be some lactose. I’d have liked a little more clarity on these issues. This is a pretty solid protein powder. It has a blend of different wheys and the enzymes could potentially help to improve not just digestive issues but also absorption — I’ve never seen a protein powder that’s so geared toward improving the experience of customers with sensitive stomachs. Beyond that, it has a pretty good protein-to-calorie ratio: 120 calories, 25 grams of protein. As a whey protein, it has a full spectrum of amino acids and some branch chain amino acids included with it. While it’s not short on artificial ingredients, there are few fillers or unnecessary components besides the acesulfame potassium, which — while widely recognized as safe — some consumers dislike. The only thing that’s confusing, as I pointed out above, is that it’s not clear if it contains lactose. It’s also not clear what the “natural and artificial flavor” in the ingredients list is. On myprotein.com it’s $31 plus $5 for delivery. So let’s say this costs 36 dollars — that’s 30 servings for $1.20 each, or 4.8 cents per gram of protein. That’s about middle of the line for whey blends like this, maybe a little on the pricier side. Most of them are between 3 and 5 cents per gram. When you compare to two-pound tubs of competing whey blends, it’s cheaper than some of the smaller brands like Ghost, but just a little more expensive than Optimum Nutrition, MuscleTech, and MusclePharm. I tried the Chocolate Fudge flavor and it was tasty, though very sweet. I have quite a sweet tooth, so I loved it, but if you prefer a more mellow or a more dark-chocolate, cocoa-y type shake, you might want to go with a different flavor — Chocolate Fudge is meant to taste like fudge, not creamy milkshakes or earthy cocoa. It mixed well and quickly, which was surprising since there’s no lecithin in the ingredients list. I couldn’t help but wonder again where the soy comes from in the allergens list, but that may not be a concern for you — this tastes great and mixes well, too. 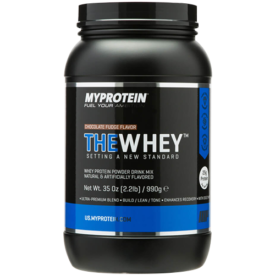 I think TheWhey is a better product than MyProtein’s flagship Impact Whey — it has more protein and less fat, it may digest more easily, and the different kinds of whey means that some protein should absorb more quickly. If acesulfame potassium is an issue, you may want to stick with Impact, which is usually sweetened with stevia or sucralose. If you absolutely can’t handle soy or lactose, this might not be the right product for you. But if you don’t mind artificial ingredients and if a lot of protein powders disagree with your stomach, there’s a chance this could be the shake you’ve been waiting for.